PVC Double Glazing. Economy 7 Heating. Rates £ 500 p/a per apartment 2017/18 subject to confirmation. 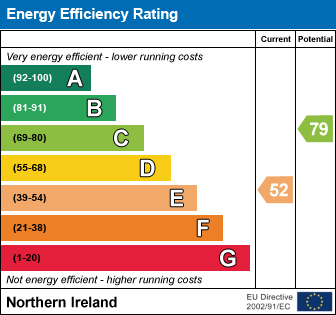 EPC Certificates available for all apartments upon request. This block of 6 x 2 Bedroomed Apartments is a fantastic investment opportunity and is situated in the heart of Rostrevor a short distance from the ever scenic Carlingford Lough and within easy walking distance from all the diverse amenities on offer within this picturesque village. Offering Open Plan Lounge/Kitchen Area, 2 Bedrooms and Bathroom. 37.4m2 comprising of 2 bedrooms, open plan kitchen/living area and bathroom. 38.59 m2 comprising of 2 bedrooms, open plan kitchen/living area and bathroom. 39.01 m2 comprising of 2 bedrooms, open plan kitchen/living area and bathroom. From Rostrevor Village travel up the Kilbroney Road, Turn right onto Newtown Road slight right onto Forestbrook Park and the property is situated on the right hand side. I am interested in Apartment 1-6 Shanwillan, Rostrevor. Please contact me about this property.